McLaren Technologies Jazz enables owners of property-based networks to sell, provision, and optimise services provided over that network. Jazzware operates as a secure, cloud service that meets the needs of all segments of the global hospitality industry. The solution integrates major hospitality systems on-premise and in the cloud to enable the richest guest experiences, empower staff, and assure 24×7 service availability. Software for Pricing, Packaging, And Provisioning of Voice Services. Jazzware is a software platform for pricing, packaging, provisioning, billing, accounting, and monitoring of premise-based voice services. Jazzware concurrently manages services costs and revenues across changing combinations of switched voice and voice over internet (VOIP) services within a building or across collections of multiple buildings. Services for Optimising Communications Financial Returns. Jazzware provides management services for optimising the financial returns of voice services delivered over premise-based networks. 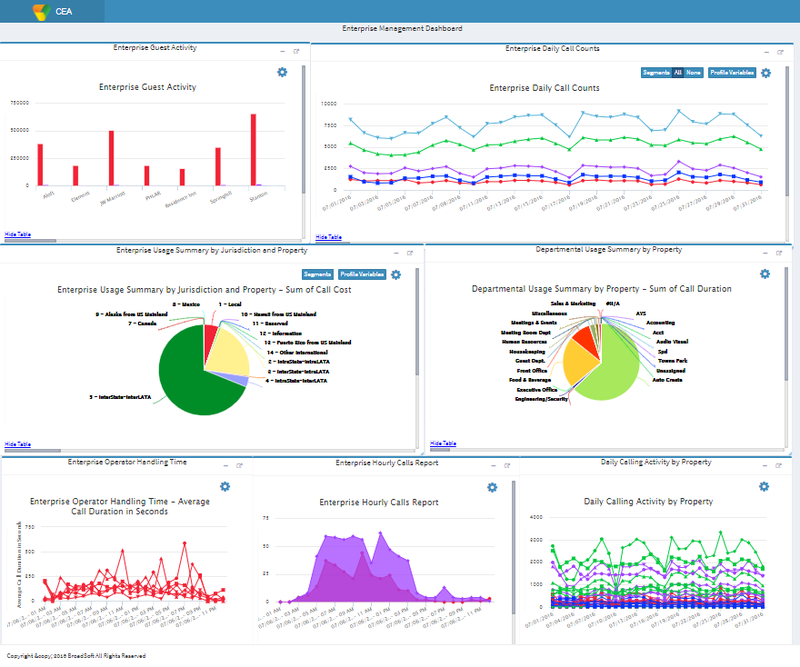 Jazzware analysts monitor and improve service carrier costs, adjust service pricing, packaging, provisioning and generally optimise facilities infrastructures. Middleware For Integrating Business Systems and Communications Technology. Jazzware is a platform integrating business systems with diverse and distributed collections of communications technology. Jazzware provides a single layer for integrating diverse combinations of traditional switched voice service and voice over internet (VOIP) service devices. Jazz provides a single point of integration regardless of the interface requirements. Manage voice technology and services for financial returns. Jazzware Services and Software provide you the tools, measurement and analysis, and process controls to manage telecommunications infrastructures for increased profit or reduced cost. Jazzware services let you manage beyond technology by associating financial returns around changes and projects related to your infrastructure. Jazz Fusion can provide call accounting as a centralised application software service with systems hosted either in your data centre or hosted externally. Provide Call Accounting Software On Your Premise. Jazz Fusion can operate as a standalone call accounting technology on your premise to support one or many PBX’s and one or many users. Jazzware can bill and provision for both VOIP and TDM based telephony solutions. Jazzware is formally integrated with many voice switching technologies. Jazz architecture allows straight forward integration with new and emerging technology solutions. Jazzware can implement a wide range of dynamic pricing and packaging strategies and implement them immediately across one or many properties. Provide Virtual Prepay Phone Services To Groups and Guests. Jazzware Voice enables you to design and self administer a closed loop voice prepay card for visitors and guests across one or many properties. 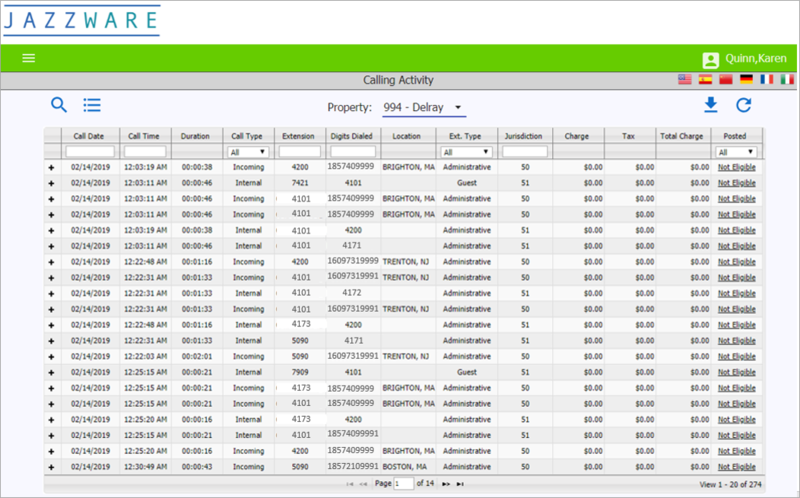 Embed Call Accounting Information Into Your IP Phone or display device. Jazzware can present call pricing to IP phone’s portal before, during, and after a phone call. Integrate Diverse PBX Devices and Business Systems (Billing Middleware). Jazzware enables you to operate a single real time voice pricing and provisioning platform regardless of your many installed technologies and interface standards. Present Integrated Bundling and Pricing Across Both Switched and IP Voice Devices. Jazzware enables you to slowly migrate from TDM switching to VOIP by providing a single billing and provisioning solution for both voice platforms. Jazzware voice solutions enable you to leverage your best telecommunications skills across one or many properties. Jazzware provides a single central platform from which to monitor, manage, and optimise telecommunications costs and revenues. Jazz Fusion Managed Voice Services create a detailed audit of your telecommunications infrastructure and further provide you ongoing technology-enabled analysis to insure continuous optimisation of our costs and revenues. Improve the Productivity and Effectiveness of Telecommunications Audits. Jazz Fusion Managed Voice integrates leading analytical technology, six sigma process analysis, and experienced telecommunications analysts to both reduce the cost of an audit and ongoing management while also increasing its effectiveness. Converge Your Pricing for Voice and Internet Services (Converged Billing Middleware). Jazzware enables you to manage both voice and internet pricing, packaging and provisioning from a single technology platform. 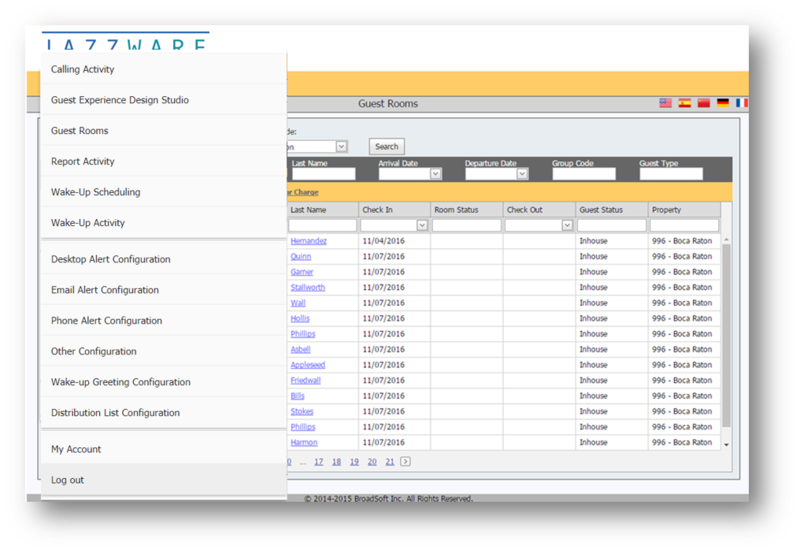 Jazzware can eliminate all of your individual call accounting systems and provide you one system to learn and to manage. The Jazzware Managed Services team can leverage information with your organisation to negotiate and then monitor the activities of your communications service providers. Your Jazz team can monitor phone bills and interpret contract structures and implications for you. Jazzware can provide real time online phone pricing information to your voice over internet provisioning devices and displays, before, during, and after a phone call. Jazzware helps eliminate guest uncertainty about the cost of phone usage.